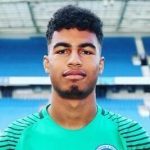 Brighton and Hove Albion have signed a 20-year-old goalkeeper from Arsenal on a free transfer. Hugo Keto has agreed a two-year contract with Albion after his contract with the Gunners expired. The Finnish youngster, who is 6ft 3in tall (1.91m), will join the under-23 squad. 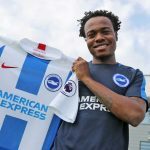 He has represented his country at youth team level and has three under-21 caps. Brighton’s under-23 coach Simon Rusk said: “We are delighted to welcome Hugo to the club. “He comes here with a good grounding after his time at Arsenal and will add some good competition for places in the goalkeeping positions. Keto joined Arsenal from Finnish side HJK Helsinki in 2014, going into the Gunners’ under-18 squad. He is known for being an athletic shot-stopper and his finest moment with the north Londoners came in the 2015-16 FA Youth Cup quarter-final against Coventry City. His hat-trick of saves helped to secure a penalty shoot-out win.